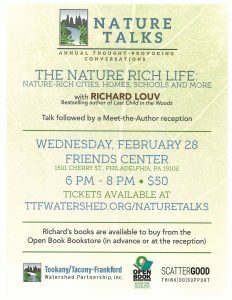 The Tookany/Tacony-Frankford Watershed Partnership (TTF) presents NATURE TALKS: a series of annual, thought-provoking conversations with Author RICHARD LOUV on The Nature Rich Life: Nature-rich cities, homes, schools and more. Followed by a Meet the Author Reception. Proceeds from this program will fund TTF outreach and education programs. Louv’s books are available to purchase in advance or at the reception from the Open Book Bookstore. This program is sponsored by the Scattergood Foundation. TICKETS: $50. 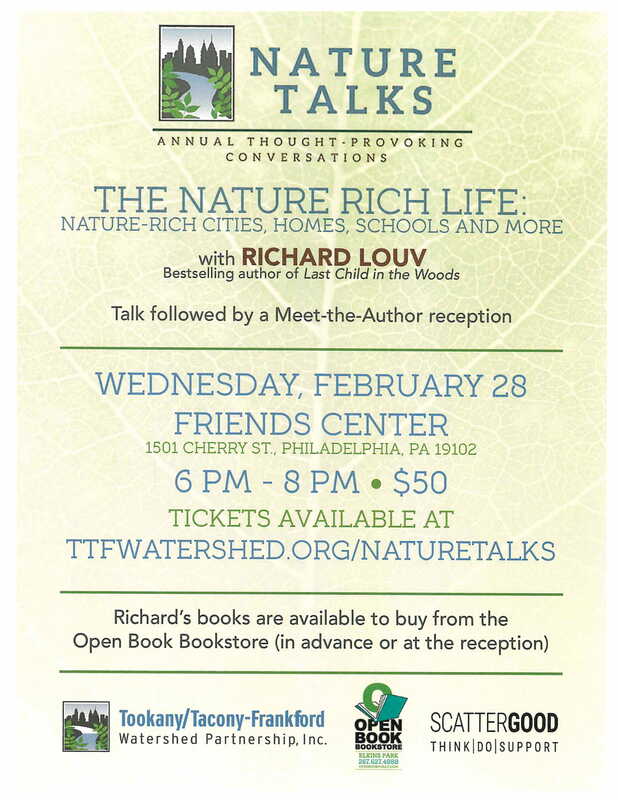 Purchase at ttfwatershed.org/NatureTalks or call 215-744-1853. Little Giant Creative, a full-service creative agency that works with local and national companies and institutions to develop and execute custom brand strategies & events, is selecting eight Philadelphia city development and urban planning professionals for an insider’s tour and professional exchange in Chicago. The first lecture in the Active Design/Healthy Communities series explores how public health agencies can join forces with design to address inequalities in the city and promote physical, mental, emotional, and civic well-being. The case study is the new South Philadelphia Health, Literacy, and Recreation Center on Broad Street. tate of the City is scheduled for Jan 24 from 8am-10am in the AIA Center. CM credits for planners are pending. Join APAPASE for happy hour! 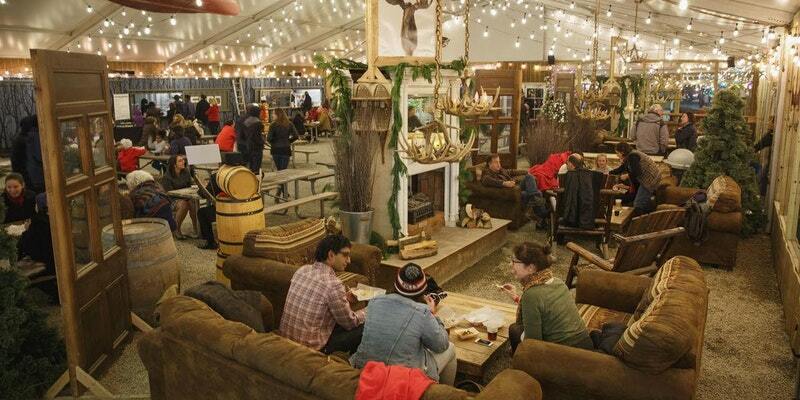 We will be mingling and enjoying drinks on Thursday, January 25, 2018 from 5:30-7:30 PM at The Lodge at Winterfest which is located at 101 S. Columbus Blvd. Please come to celebrate the new year or simply to spend time with your fellow Planners! The Lehigh Valley-Berks and Southeast Sections of the American Planning Association and the Pennsylvania-Delaware Chapter of the American Society of Landscape Architects invite you to participate in this training course on the technical aspects of the Growing Greener: Conservation by Design approach to land use planning and residential development. This training is intended primarily for professional planners (county, municipal or private) who consult with municipalities and review or write land use ordinances. Participants will become familiar with the specific wording and provisions that typically must be added to existing codes to give local officials the tools they need to ensure that new subdivision proposals will be designed around the central organizing principle of land conservation. Township engineers and zoning officers who must enforce these codes are also invited.